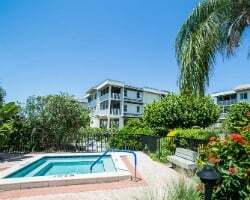 The sun and surf of Sanibel Island are calling with the luxurious vacation ownership accommodations at Shell Island Beach Club. Find timeshare units priced up to 70% lower than retail costs with SellMyTimeshareNow.com. What’s My Shell Island Beach Club Timeshare Worth? Embrace the calming ocean breeze and quiet shores of Sanibel Island with your very own luxury accommodations at the Shell Island Beach Club resort. 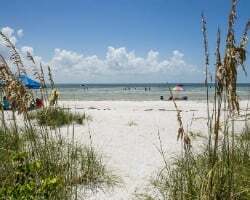 With an impeccable proximity to the beach and other prime Sanibel attractions, you'll be able to create the perfect beach vacation each and every year. Enjoy swimming, snorkeling, or jetskiing out on the warm Gulf waters, or explore the island to find other incredible things to do and see. Stay on-site at the resort to relax by the pool or play a round of tennis, or simply lounge on your own screened balcony. Whatever it is you seek to do, you can do it comfortably from your accommodations at the Shell Island Beach Club. The resort's two bedroom suites are ideal for groups of up to six. Perfect for families, you'll find homelike accommodations and in-unit features that will transport you to your very own island paradise. Prepare your own meals in your fully-equipped kitchen and make use of the incredibly convenient washer and dryer included in every unit. With modern furnishings and tropical comfort from top to bottom, you'll find the Shell Island Beach Club to be the perfect place to unwind. 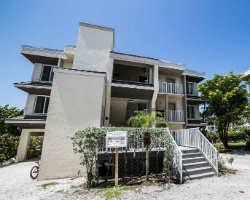 Are you ready to secure your very own accommodations in Sanibel Island? Fill out the form on this page to learn more about ownership opportunities at the Shell Island Beach Club, or call a representative at 1-877-815-4227. Buying a timeshare resale at the Shell Island Beach Club can help you unlock years of amazing Sanibel vacations at a fraction of the price that others pay. Unlike traditional timeshares, timeshare resales are sold by current owners and avid vacationers like yourself. Because of this, prices for the same vacation ownership accommodations at the resort are often much more affordable. You can find timeshare units at the Shell Island Resort Sanibel for prices up to 70% lower than retail costs, allowing you to save big. Shell Island Beach Club resales come in the form of deeded fixed and floating weeks, allowing you to choose which style of ownership is right for you. Timeshares may also be available in Hilton Grand Vacations Club points, which allow for more flexible vacation planning. Narrowing your options by price and unit size can also let you find the perfect unit that fits your budget. Timeshares at the Shell Island Beach Club fall within Hilton's Silver, Gold, and Platinum seasons. 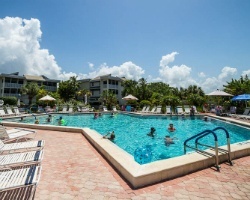 The Shell Island Beach Club resort is a Hilton Grand Vacations Club affiliate, which means your timeshare resale can offer you much more than just a guaranteed vacation to Sanibel Island every year. While resale owners can't enroll in the club at the Elite level, you'll still be able to take advantage of some of the club's best perks and benefits. 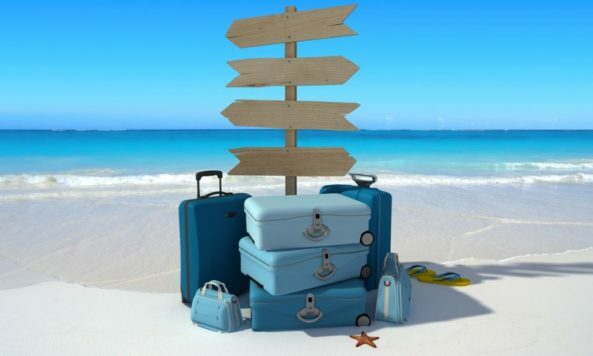 You can bank and borrow your HGVC points to use on vacations as you see fit, or even convert unused points to HHonors rewards. You can also broaden your horizons by booking stays at other Hilton resorts and explore destinations all over the world. The Shell Island Beach Club is also affiliated with RCI, the world's largest timeshare exchange brand. With a network of more than 8,000 affiliated resorts, you can use your timeshare resale at the Shell Island resort to trade for stays at comparable properties in destinations all over the world. What's more, the resort has earned a Gold Crown rating from RCI, favored by guests for its amazing accommodations and on-site services. When you exchange your timeshare, you'll likely be able to choose from a variety of other Gold Crown resorts across the globe. The on-site amenities and services at the Shell Island Beach Club Sanibel will provide you with a one-of-a-kind vacation experience you won't soon forget. Venture out just beyond the resort's grounds to find the famous beaches of Sanibel Island, which offer endless opportunities to swim, surf, and sunbathe. Try your skills at various watersports like wakeboarding or windsurfing, or simply stay on the beach to hunt for seashells. On the resort's grounds, you'll find that the pool is the perfect place to swim or lay out beneath the sun. Additionally, the whirlpool hot tub and sauna provide extra opportunities to relax and leave the hustle and bustle of everyday life behind. The area surrounding the resort is a vacation paradise, offering a multitude of attractions and things to do and see. Traverse the J.N. Darling National Wildlife Refuge, or explore the strikingly unique Sanibel Island Light. Golfers can head around the island to find great courses at Sanibel Island Golf Club and Sanctuary Golf Club. For a truly distinct experience, head to the Bailey-Matthews Shell Museum to see rare shells found around the island. Already Own at Shell Island Beach Club?